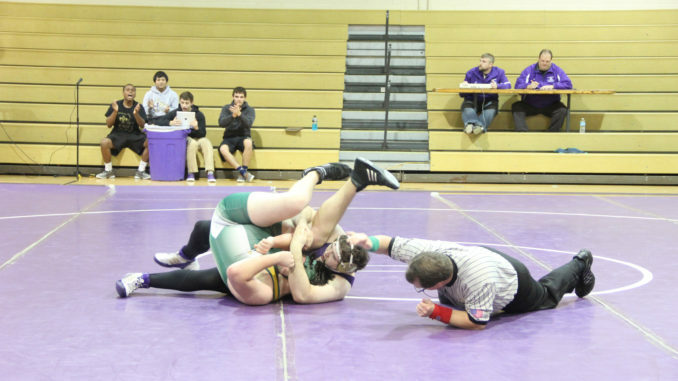 The Hahnville Tigers wrestling team improved to 2-0 at home after cruising past Grace King High School. The Tigers beat Grace King by a score of 72-12, which served as a nice tune up for the Louisiana Classic held in Baton Rouge. Out of 40 teams, the Tigers finished 16th. Sophomore Nicholas Lirette finished in fourth place in the 106-pound division. Hahnville junior Kendrick Jones came in fifth place in the 195-pound division.